Two Layers of Different Textures in One Cup! 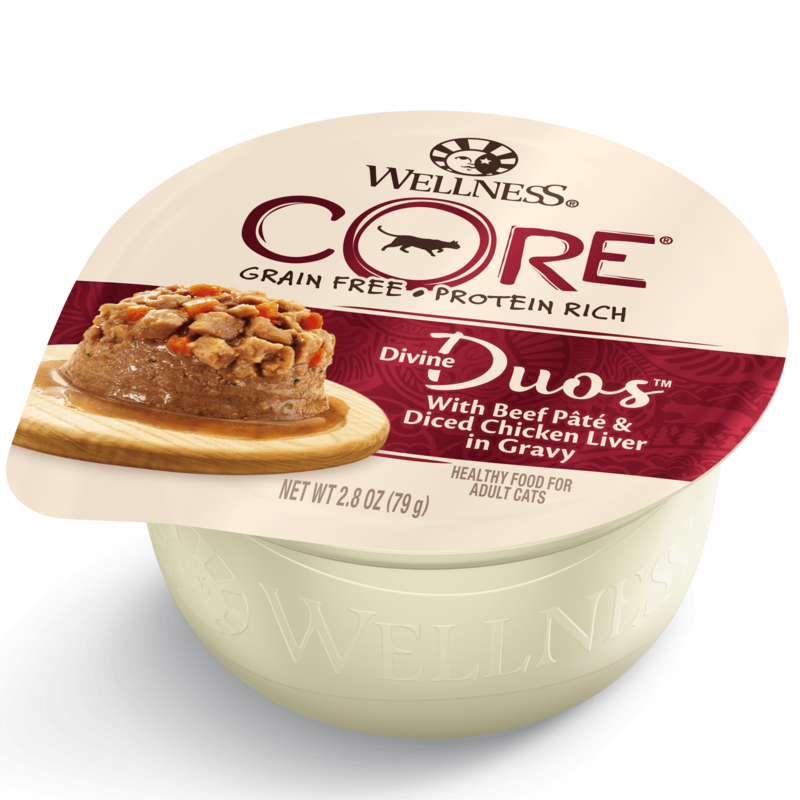 A breakthrough in the world of natural wet cat food, Wellness® Divine Duos™ combines two tasty layers in one cup! With a layer of savory pâté topped with a second layer of tender cuts in gravy, Divine Duos elevates the experience of everyday meals. Delicious poultry, seafood and meat combinations are paired with hearty veggies for each of the six tasty varieties. Let your cat indulge in Divine Duos today! INGREDIENTS: Chicken Broth, Water Sufficient for Processing, Chicken, Potato Starch, Beef, Carrots, Chicken Liver, Eggs, Natural Flavor, Broccoli, Sodium Chloride, Potassium Chloride, Tricalcium Phosphate, Guar Gum, Xanthan Gum, Locust Bean Gum, Sodium Carbonate, Magnesium Sulphate, Vitamins [Vitamin E Supplement, Thiamine Hydrochloride, Niacin, Vitamin A Supplement, Pyridoxine Hydrochloride, d-Calcium Pantothenate, Riboflavin Supplement, Folic Acid, Vitamin D3 Supplement, Biotin, Vitamin B12 Supplement], Taurine, Choline Chloride, Minerals [Zinc Amino Acid Chelate, Iron Amino Acid Chelate, Manganese Amino Acid Chelate, Copper Amino Acid Chelate], Potassium Iodide, Sodium Selenite. 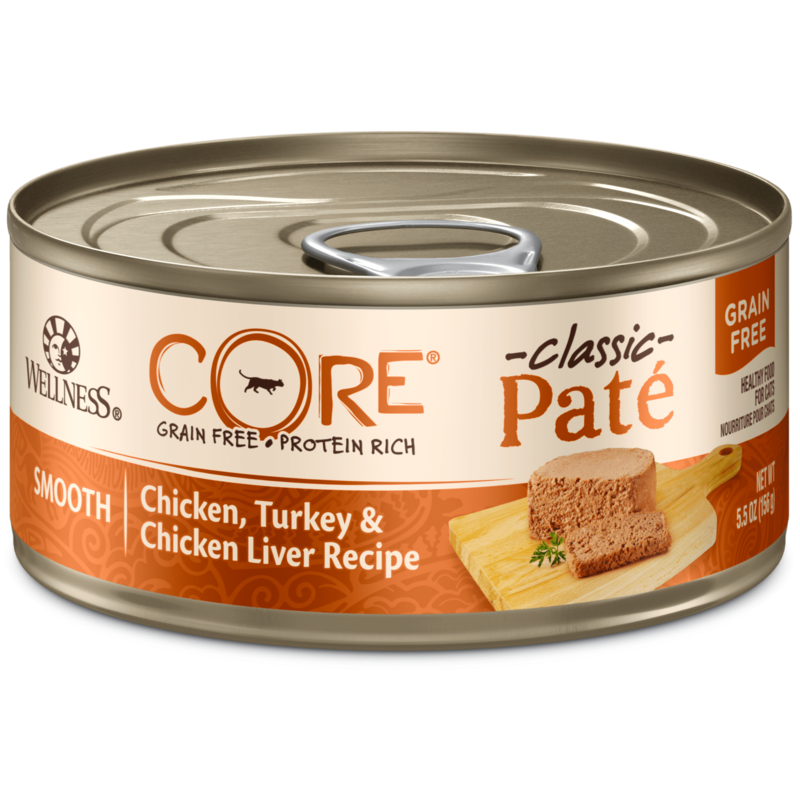 Wellness® Divine DuosTM With Chicken Pâté & Diced Salmon is formulated to meet the nutritional levels established by the AAFCO Cat Food Nutrient Profiles for maintenance. For adult cats. Fed alone: about 8.4oz per 6.6lbs body weight daily. 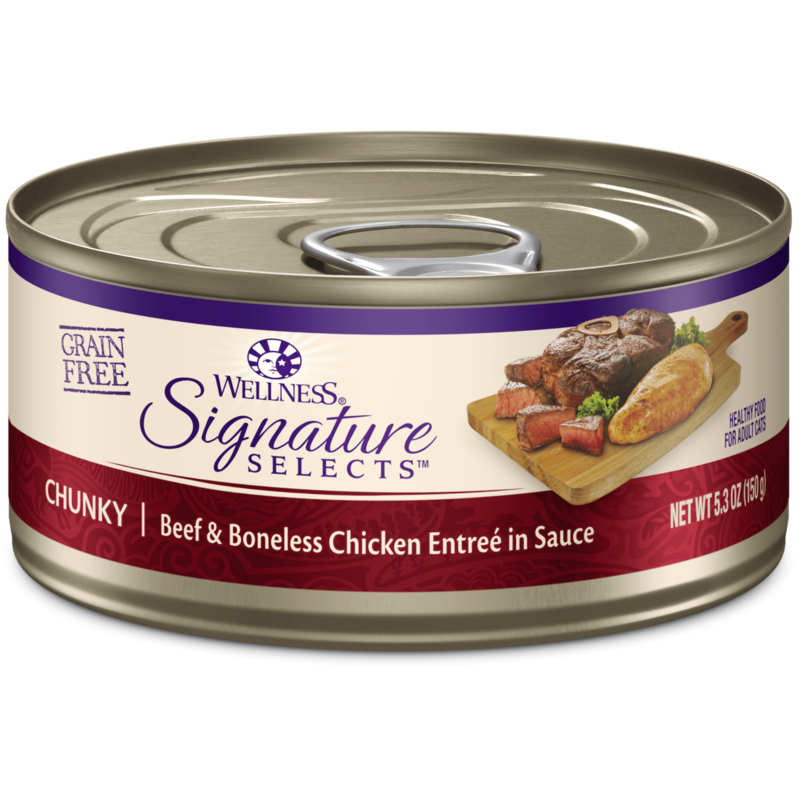 Fed with dry: reduce dry by 0.6oz for every 1 container wet. Best at room temp. Refrigerate unused. CALORIE CONTENT: (ME Calculated, as fed): 842 kcal/lb or 71 kcal/container.